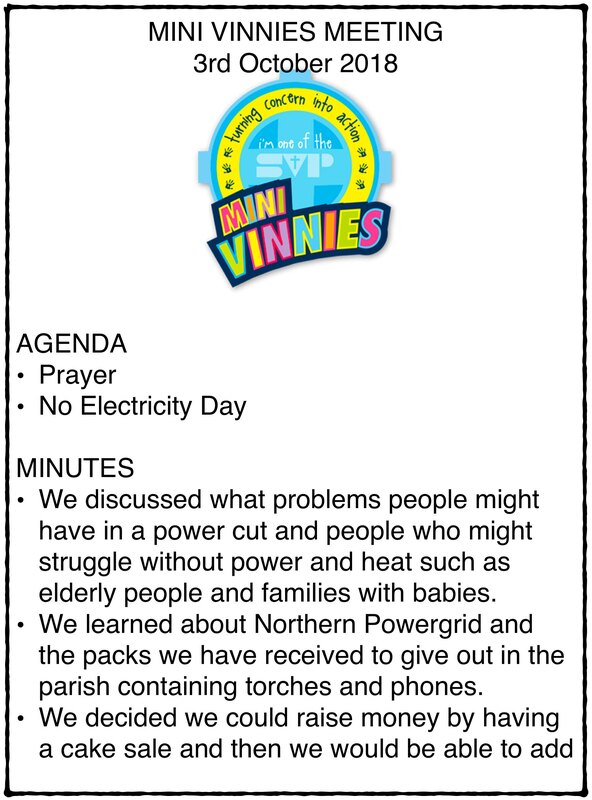 Meet our Mini Vinnies this year – they are excited to get started and will be first of all working with NPOWER and thinking about how they can help people in our parish who may struggle in a power cut as the weather is getting colder. ‘Mini Vinnies’ are children in our school from Year 3 to Year 6 who are encouraged to embark on their first steps as possible ‘Vincentians for life’ by supporting our local community and those in need. 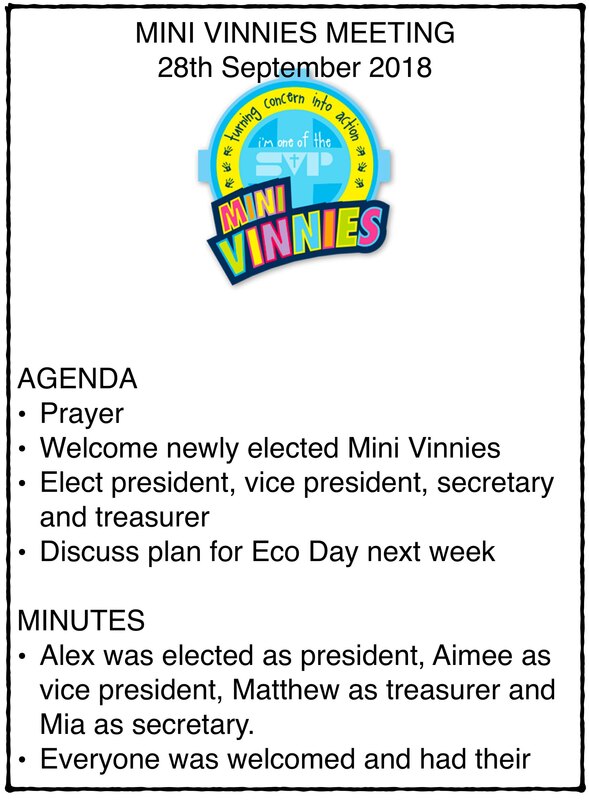 As Mini Vinnies, the youngsters have their own ‘treasured’ Prayer, Pledge and Badge and meet together regularly to think of ways they can support people in need in our parish. Last year our young people cared for our school by caring for the environment and using a buddy bench to make sure no-one was lonely. They prayed for the sick in our parish and made beautiful crucifixes with prayers at Lent to take to people who could not get to church because of illness. We also collected for our local food bank leading up to Christmas.